Worship is the central act of the people of God. At Western Reserve the written word of God and the preached word of God are central to our worship experiences. Each service is designed to help you live out the Christian faith. Our goal is to help you have a clearer understanding of God's purpose for your life. Western Reserve offers three different worship services each Sunday morning. Each is designed to appeal to different generations and tastes. While the package may change, the Gospel message remains the same. This service is located in our main sanctuary and lasts approximately forty-five minutes. 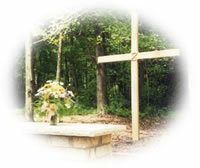 This service is moved to the outdoor chapel, Woodland Haven, during the summer months. It is designed for the person who likes the intimacy of informal worship. Our contemporary service is located in the church's fellowship hall. This service began in 2001 and is called T.O.G.G.L.E. It is an acronym for Touch of God Giving Life Eternal. The music is led by the T.O.G.G.L.E. Team, and the message is delivered by the pastor. Imagines are projected on a large screen to involve all our senses as we praise our perfect Savior, Jesus. A nursery is available. The service is designed to last approximately 75 minutes. 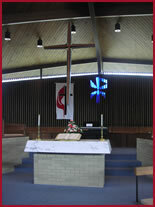 Our traditional service is located in the main sanctuary. The music is led by our Choir Director Mark Halls and our outstanding chancel choir. We keep the traditions of the past alive, as we discover what God has for us today. This service lasts approximately one hour, and a nursery is available. Western Reserve also offers a variety of seasonal services to meet your spiritual needs. Our goal is to draw you closer to God. We are in the disciple making business. Western Reserve is blessed with a variety of music. We understand music is more than pure entertainment. Music is an expression of our faith. We are fortunate to have two committed groups. 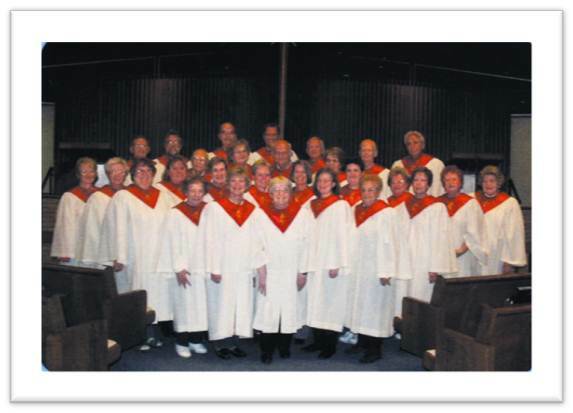 Our chancel choir is one of the finest in northeastern Ohio. In 2001 Mark Halls came to Western Reserve to direct the choir. His impact on the choir was immediate. He is truly a gifted musician who has the ability to bring the music to life. Under his leadership the choir has grown in size and quality. The chancel choir sings every Sunday during the 11:00 worship service. They sing annual cantatas during Advent and Lent. The T.O.G.G.L.E. Team was founded in 2001 to lead music during our 9:30 contemporary service, T.O.G.G.L.E. This committed group of lay people lead this service with a variety of contemporary Christian music. They understand that God is always doing a new thing! Click here to listen to some of the music.